Lowe’s will have a new Build and Grow Kids Clinic tomorrow (2/22) at 10 AM. These “clinics” are free and fun for kids of many ages (I’ve been taking my daughter since she was 3 and have seen kids up to 10 there). It’s very informal and takes no more than 30 minutes. 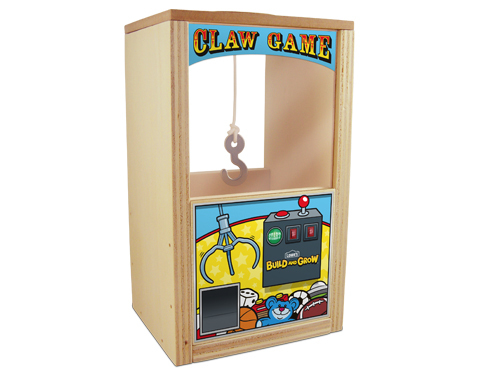 This Saturday, kids make a free Claw Game. Find a location and register HERE. This entry was posted in Freebies and tagged Build and Grow, Lowes. Bookmark the permalink.